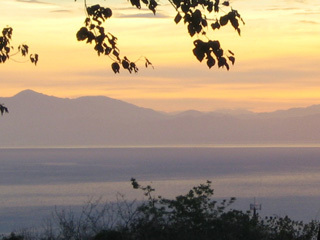 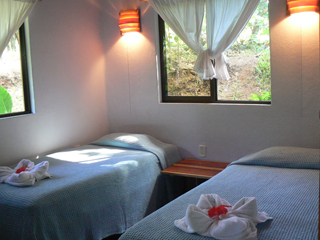 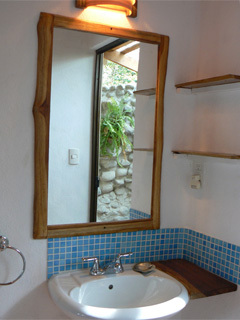 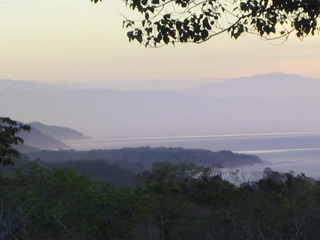 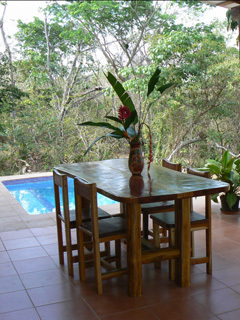 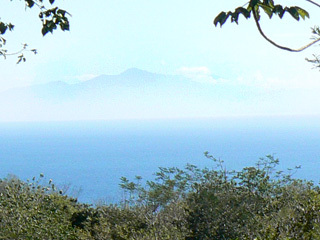 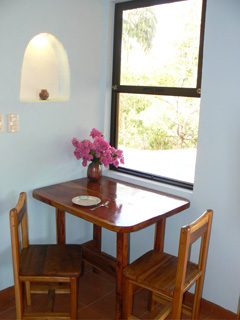 A beautiful house with a laid back rustic feel, Casa Trogon sits within the jungle overlooking ocean views. 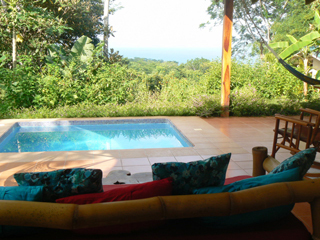 Wake to the sounds of the jungle and the ocean out your window. 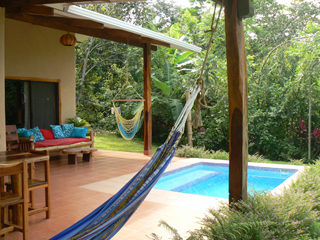 Relax on the spacious tiled porch and you swing on the hammock and enjoy the views and wildlife around you. 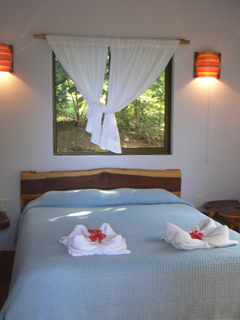 Take a refreshing dip in your private plunge pool. 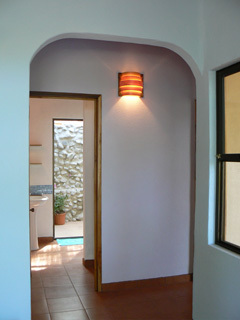 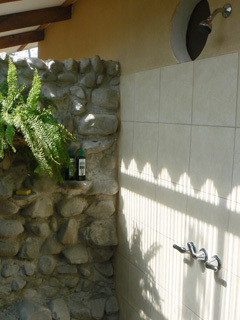 Luxurate in your unique rock wall enclosed indoor/outdoor shower - the best of both. 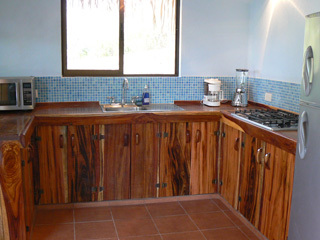 Prepare delicious meals in your fully equipped kitchen with all new appliences. 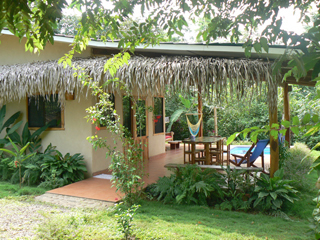 Named for the black and orange birds which nest around here, a great house for families!